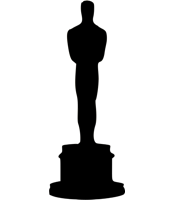 Well, the Academy Awards were definitely the most memorable Oscars ever. By now, most of us have heard about all of the gaffes – from La La Land being incorrectly named as Best Picture Winner, it was Moonlight to the wrong photo of a very much alive Jan Chapman – but there is one winner which took the night by storm. Victoria’s Secret model, Shanina Shaik made our jaws drop when she entered the Oscars viewing party wearing an emerald green gown by The Thai Nguyen Atelier. It featured a thigh-high split combined with a plunging neckline. What really made us go gaga over her dress however, was the deep emerald green color which mated her hazel eyes and the stunning emerald and diamond necklace from Piaget Luxury Jewelry she paired with her dress. 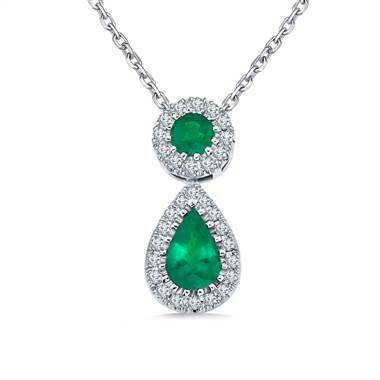 Thus, our love for emerald’s deep green was born and we were inspired to look at some of our favorite pieces of emerald jewelry and bring them to you. 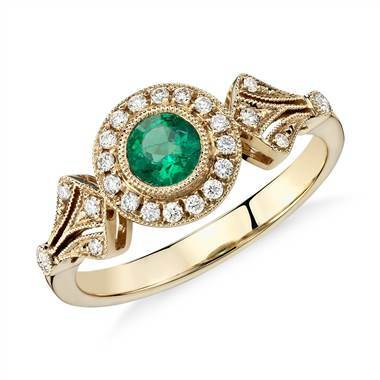 Vintage jewelry is back in a BIG way and this ring is the perfect entry into the trend. It encapsulates vintage trends in a beautiful way. 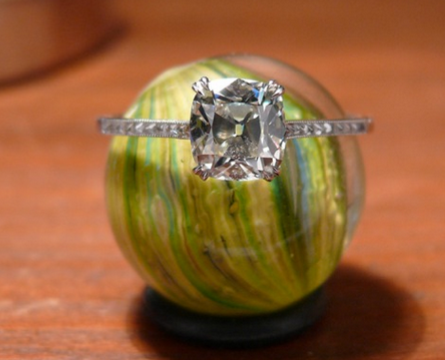 We love the milgrain halo setting surrounding a round green emerald. 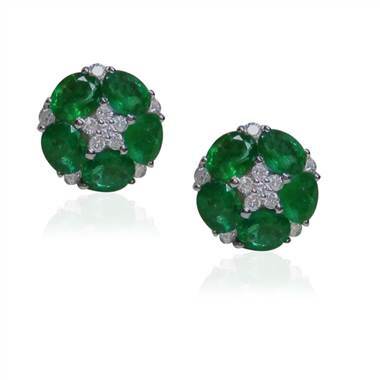 We love these emerald studs because of their versatility. You can wear them to work, a black tie gala or to your child’s playdate and they will work every single time. 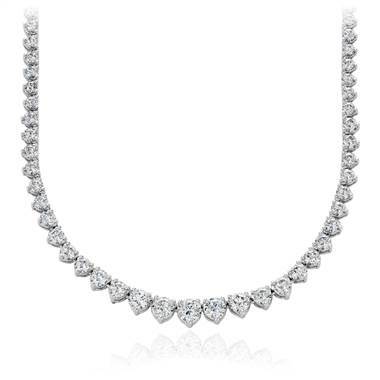 We love versatile jewelry, especially if you don’t have Elizabeth Taylor’s jewelry budget. No worries though, these earrings would even make her green with envy. 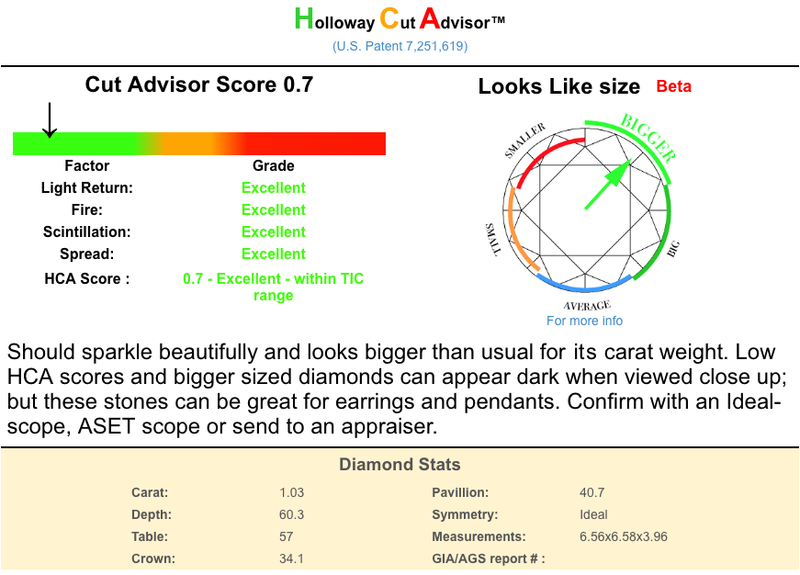 Now more than ever, the fancy cuts are closer than ever to knocking round diamonds and gemstones off of their pedestal as the most prized cut. Pear cuts are quickly becoming one of the most popular of the fancy cuts with celebrities to your neighbor selecting the cut for their jewelry boxes. Well, rest assured, you won’t be out-of-date when you choose this pendant necklace which combines pear and round cuts in one design. Ok, so we can’t guarantee that you will be transformed into a Victoria’s Secret model when you purchase one of these pieces. But, we can guarantee you that you will feel like a supermodel at the Oscars when you wear one of them. Shanina Shaik definitely brought her A-game to the Oscars and gave us some serious inspiration for our next jewelry purchase.